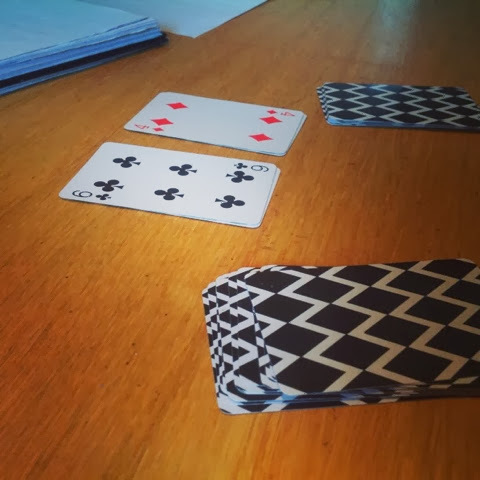 We set out some of the cards 1 (ace) to 9 on the table. 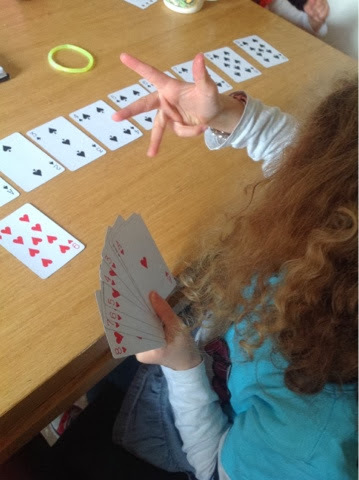 Then I have her a handful of cards to hold also 1 (ace) to 9 and asked her to make the top and the bottom ones add up to 10. 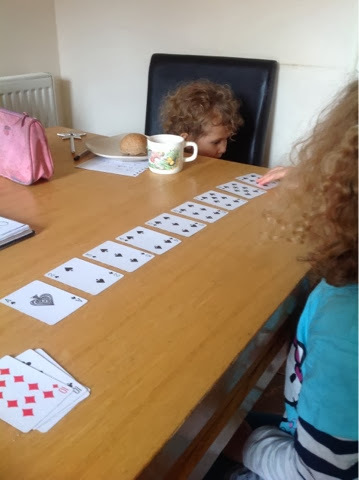 She loved holding the hand of cards and played this way a couple of times. 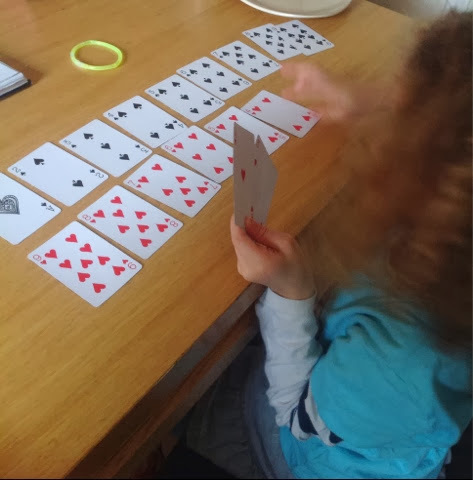 We played it like snap but instead of one pile we used two and instead of using all the cards we discarded all the picture cards and 10s again. We only said snap (she didn't like shouting 10 but you could) when it added up to 10. It must have been a hit because she was playing it with her sister Naomi this morning so I thought I would share it on here too. Loving these ideas! We played times lotto today and it went really well!